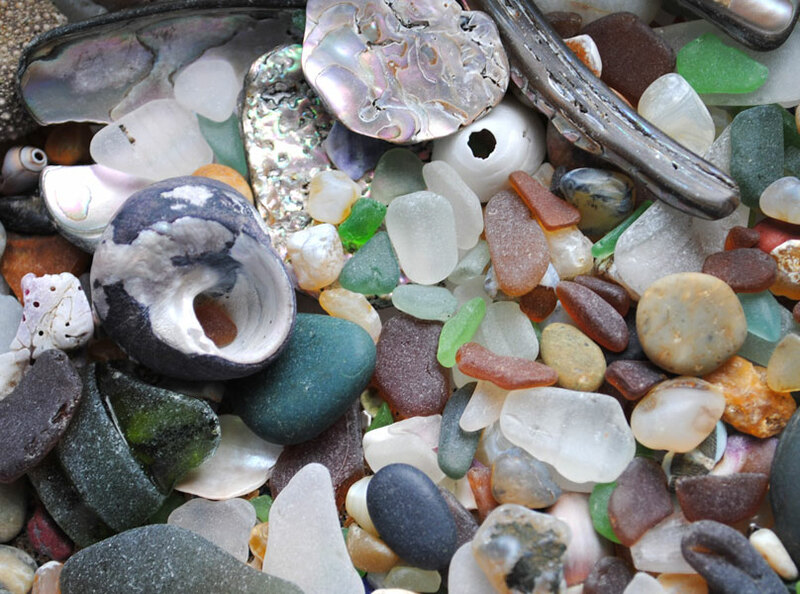 No trip to the beach is complete unless I come home with something in my pocket, it maybe a shell a beautiful pebble or if I am really lucky a stash of sea glass. 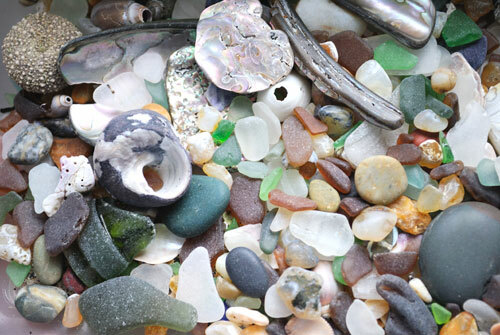 I am betting quite a few of you have a box of sea glass treasure like this from your summer vacation. 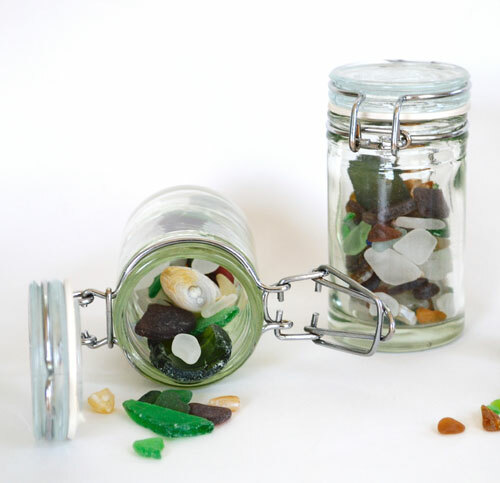 It seems a shame to just leave such coveted gems locked away forgotten so here are some crafty ideas of what you can do with your collection. 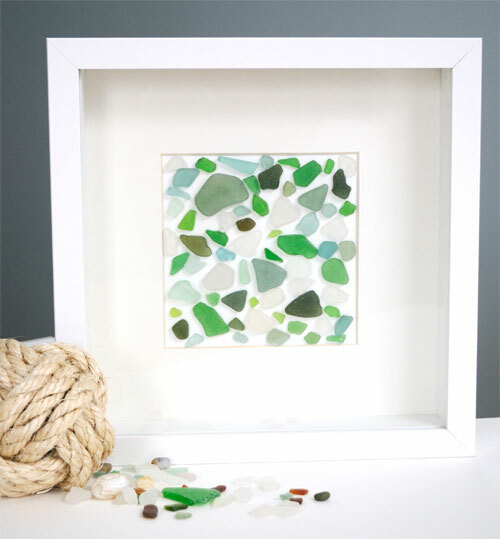 Buy a couple of shadow frames, stick your glass down on some heavy duty card and voila! 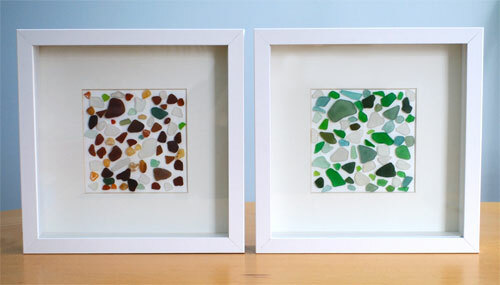 I created two pictures with different colored tones of glass. 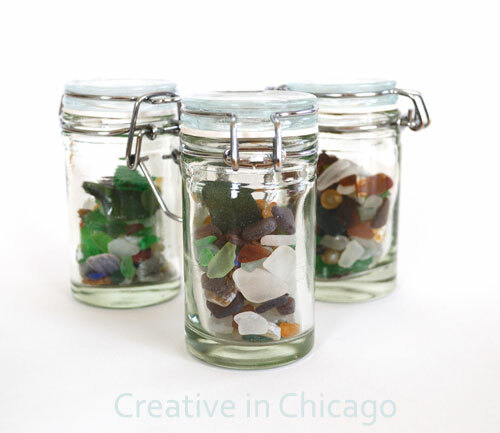 Fill little glass jars and display on a window ledge where the glass a catch the light. 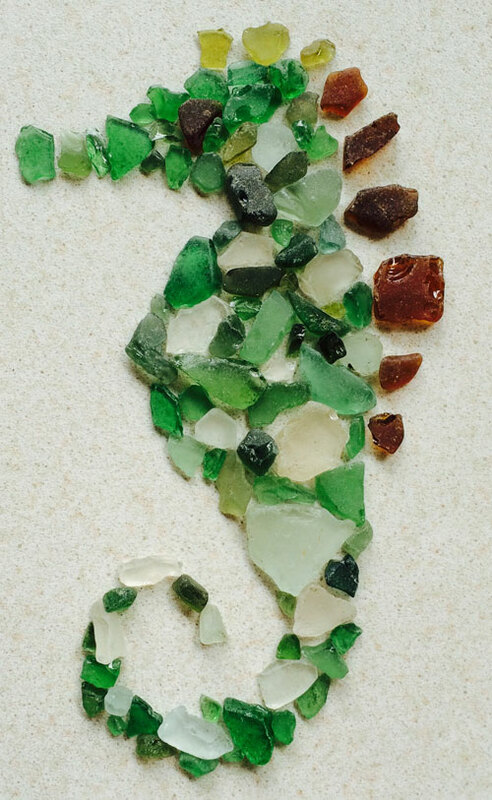 Use your glass to design a creative mosaic. 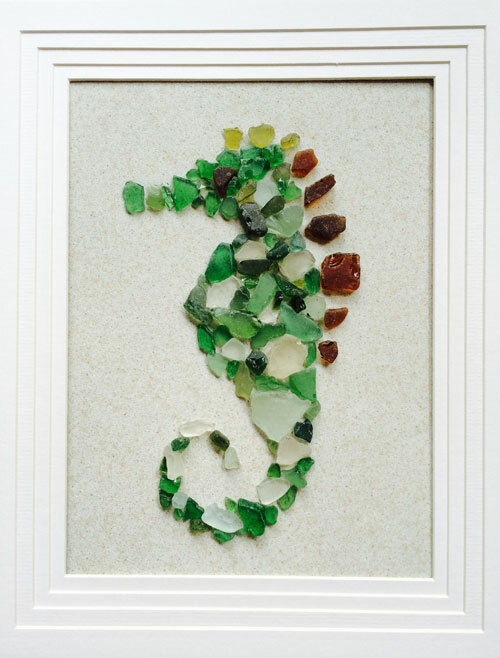 This entry was posted in Art, Coastal Crafts, Coastal Decor, Craft Projects, Decorative Accents, Home Decor, Trash to Treasure and tagged coastaldecor, green, seaglass, wallart. Bookmark the permalink. So beautiful! I also love making wire wrapped jewelry with them! oohh that sounds lovely, do you have any photos to share?